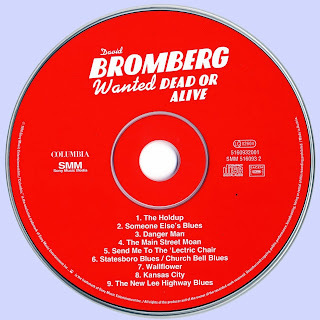 With their masterfully executed mix of America’s musical roots, the albums released by David Bromberg in the mid-1970s remain as much fun as they were more than a third of a century ago. Though his work with Dylan (on New Morning, Self-Portrait, and the forgettable Dylan, which used discarded tracks from the previous sessions) had led to a contract with Columbia Records and members of the Grateful Dead had played on his first two albums, his roots-oriented approach was obscured by the soft pop-dominated hit parade of the early-1970s. Those who craved and understood great musicianship loved those albums, but sales were nowhere up to major label standards. 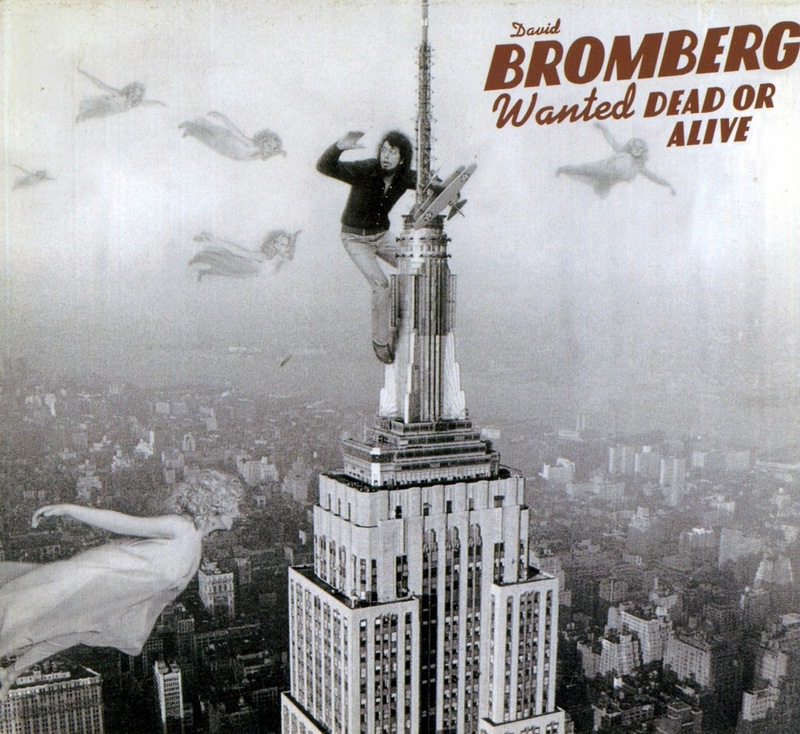 Reaching into what he does best, Bromberg came up with an album full of spirit, high energy and musical diversity. Opening with a galloping reprisal of “The Holdup,” his collaboration with George Harrison, Bromberg and cohorts, including the Grateful Dead’s Jerry Garcia, Keith Godchaux and Bill Kreutzmann and backup singers Tracy Nelson and the Sweet Inspirations, rarely let up. Bessie Smith’s 1929 blues hit, “Send Me To The ‘Lectric Chair,” Leiber and Stoller’s “Kansas City,” and a medley of Blind Willie McTell’s “Statesboro Blues” and L. Jordan’s “Church Bell Blues” are resurrected with new life. A Dylan tune is thrown in, as well – “Wallflower,” which, although it had previously been recorded by Doug Sahm, with Bromberg on guitar, did not appear on a Dylan album until the release of The Bootleg Series – Volumes 1-3 (Rare And Unreleased) in 1991. While his vocals were anything but luscious, Bromberg’s deep, growl-like singing made every word heartfelt. 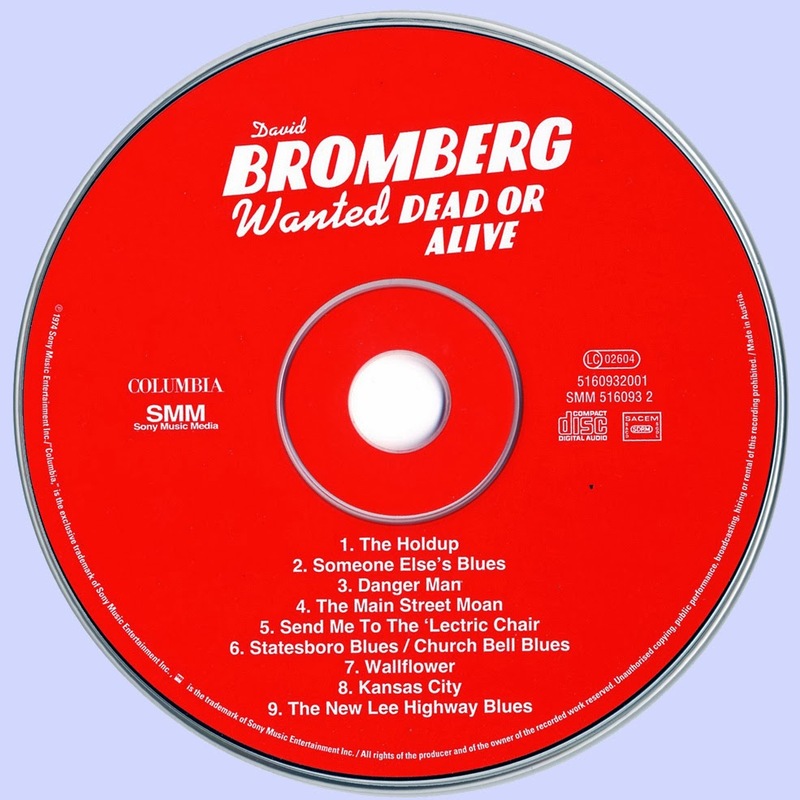 Showing the depths of his songwriting with four self-composed tunes (“Someone Else’s Blues,” “Danger Man,” “The Main Street Moan,” and “The New Lee Highway Blues”), Bromberg uses the guitar picking styles that he had learned as a student and protégé of bluesman Reverend Gary Davis as springboards for discovery. A German band from the early Seventies who were successful abroad, even in the States? What sounded like wishful thinking at the time applied, at least for a few years, to Lucifer's Friend from Hamburg. Not only the enthusiastic press reactions to their 1970 debut, but also top positions in the readers' polls of major American music magazines surprised even experienced product managers in Germany. 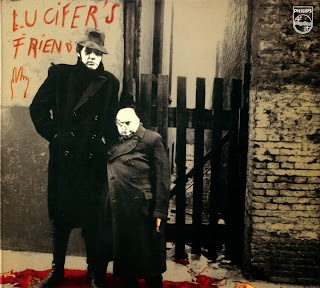 But when American TV stations started to enquire about the band, Lucifer's Friend found themselves faced with a problem that had remained hidden from most media representatives: the group existed only on paper, or rather in the studio. The musicians involved – Peter Hesslein (guitar), Peter Hecht (organ) and Dieter Horns (bass) - had disbanded their beat group, German Bands, two years previously and recorded - more or less as an experiment - a handful of songs, initially without a vocalist or any clearly defined concept of how to go on. Between German Bands and Lucifer's Friend lay the foundation of the group, Asterix. Established in 1969, this act marked the arrival of the musicians Hesslein, Hecht, Horns and Joachim Reitenbach (drums, also ex-German Bonds) on the rock scene. Their first attempt failed, and the project was terminated after two unsuccessful singles and a self-titled debut album. What was left was the musicians' ambition to found a band which, according to the Zeitgeist, concentrated on rock instead of beat music. Their second try featured a different line-up and succeeded. Thanks to the single, Ride The Sky, and a rock sound that seemed tailor-made for American radio preferences, their eponymously titled debut album scored in a big way. British vocalist John Lawton joined the group when the album production was already underway. The musicians had discovered him during a gig with his band Stonewall at the Top Ten live club at Hamburg's Reeperbahn and enlisted him as a studio musician. 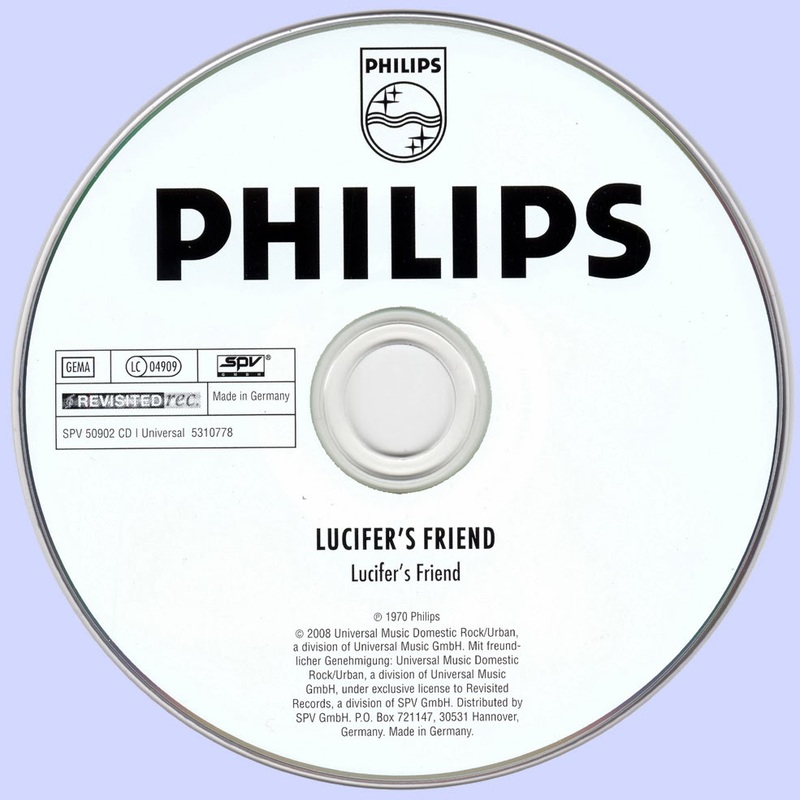 Lawton was also on board when Lucifer's Friend decided in view of the great reactions at home and abroad to turn their studio project into a regular band, performing live shows. 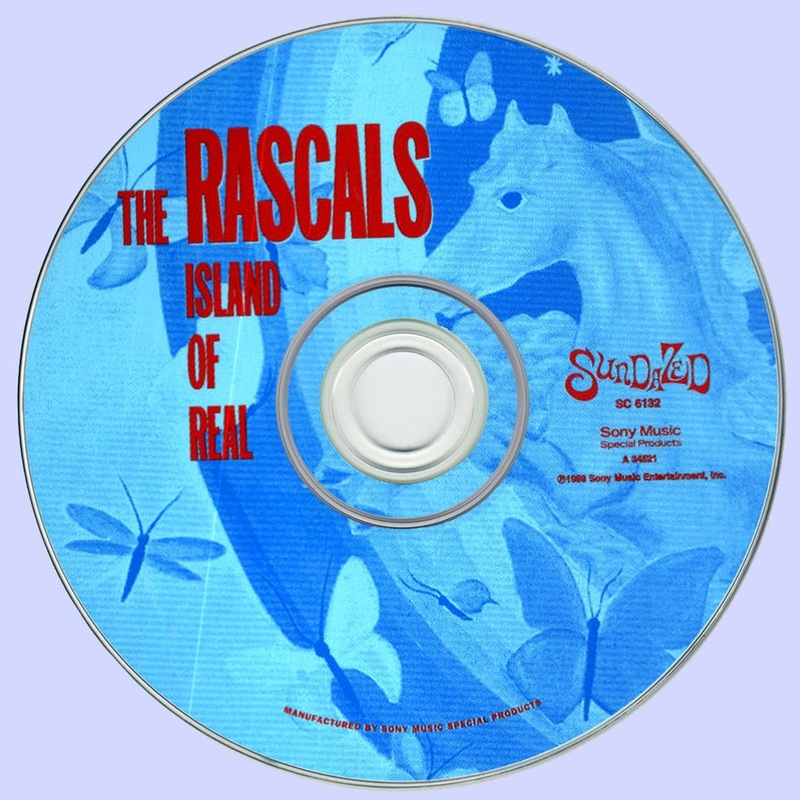 The music on the debut turned out to be a mix of Anglo-American hard rock, blues, soul and early variations of what was to develop into heavy metal. The press praised the LP by this "super-dynamic German rock quintet with more than slight Led Zeppelin resemblances", yet album sales in Germany were very slow to start off with. Their career began to gain momentum when Chicago import record company Billingsgate – who Epitaph were to have an unpleasant encounter with later - licensed the album, sending out specimen copies to the country's most important radio stations. Suddenly WMMS, Cleveland's most popular radio station, discovered the catchy Ride The Sky, catapulting Lucifer's Friend to no.2 of the city's best-selling albums (directly behind Pink Floyd) and establishing the basis for a long period of success. During the following years, Lucifer's Friend continued to produce successful rock albums with changing line-ups, but were unable to live from their music alone, some band members having to work with the Les Humphries Singers on the side. Following Mind Exploding (1976), Lawton left the band to join Uriah Heep, returning in 1981 to record the final album, Mean Machine, and was also involved in the unsuccessful comeback attempt, Sumogrip (1994), which featured a new version of Ride The Sky. 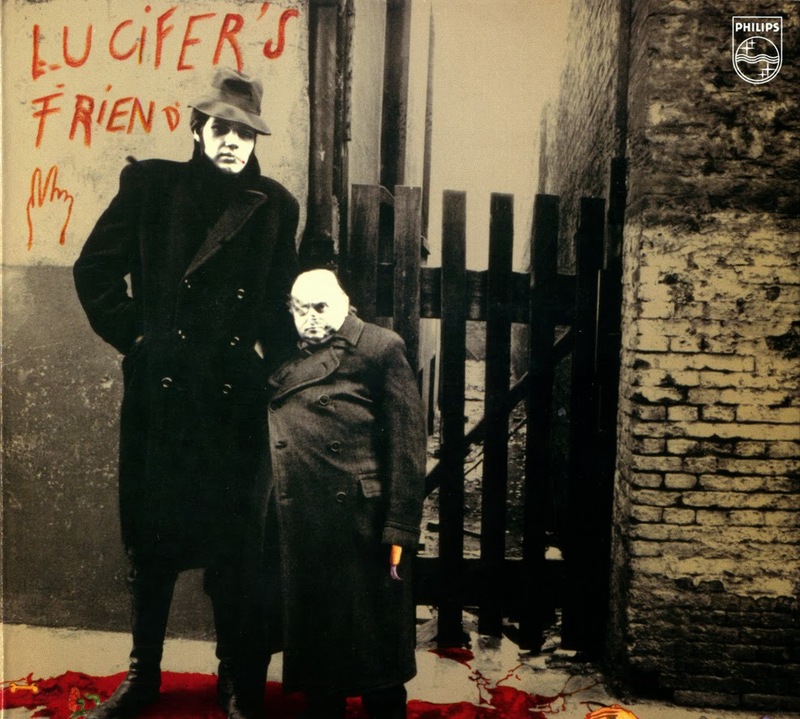 Subsequently, Lucifer's Friend were put to rest permanently. 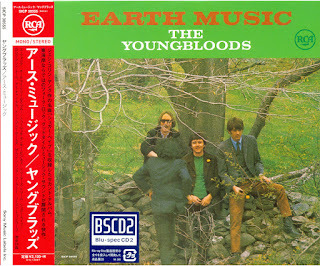 Young got his start on the folk circuits of Boston and New York, and had already cut a couple of solo albums before forming The Youngbloods. John Sebastian was one of the supporting musicians on Young's second LP, and comparisons between the two -- and between The Youngbloods and the Lovin' Spoonful -- are inevitable. Both groups offered good-timey folk-rock with much stronger jug band influences than West Coast rivals like the Byrds, though The Youngbloods made greater use of electric keyboards than the Spoonful, courtesy of the enigmatically named Lowell "Banana" Levinger. The Youngbloods didn't craft nearly as many brilliant singles as the Lovin' Spoonful, but (unlike the Spoonful) endured well into the hippie/psychedelic era. 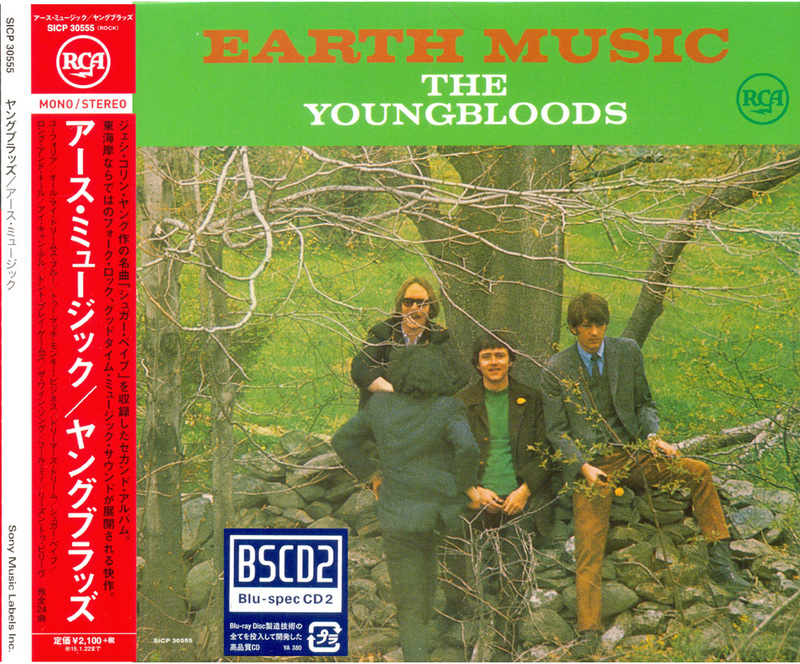 The Youngbloods' second long-player built on the strength of their self-titled debut by once again creating a blend of captivating songwriting with an infectiously fun delivery. Although the album failed to produce a definitive single -- as "Get Together" had done on their previous effort -- there are a handful of equally definitive sides scattered throughout Earth Music (1967). 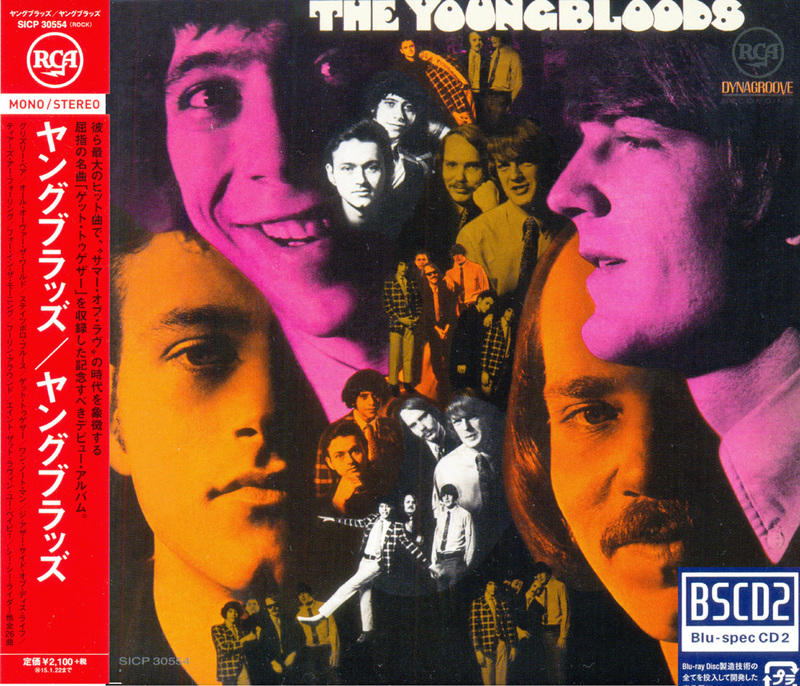 Featuring Jesse Colin Young (guitar/bass/vocals), Jerry Corbitt (lead guitar), Joe Bauer (drums), and Lowell "Banana" Levinger III (piano/guitar), The Youngbloods recall the uptempo good-time sound of their East Coast contemporaries, the Lovin' Spoonful, on the opening cover of the Holy Modal Rounders' "Euphoria." The first of several stellar compositions from Young follows with the laid-back "All My Dreams Blue." In addition to the affective songcrafting, Banana's upfront piano fills provide a jazzy counterpoint to the interlocking Bauer/Young rhythm section. This refined power trio would become the mainstay of their later post-Corbitt recordings. "Dreamer's Dream" highlights Corbitt's inimitable contributions to the band with a highly affective melody as well as his unencumbered vocals, which effortlessly intertwine with Young. The countrified interpretation of the traditional "Sugar Babe" is a precursor to the direction that the band's sound would take after their relocation to the West Coast. The track became an international hit no doubt due to its inclusion in the Michelangelo Antonioni film Zabriskie Point (1970). Other standout tracks include the high-steppin' "Wine Song" and one of the better revisitations of Tim Hardin's "Reason to Believe." Elephant Mountain (1969) is the Youngbloods' third long-player and marks their debut as a trio -- featuring Jesse Colin Young (bass/guitar/vocals), Joe Bauer (drums), and Lowell "Banana" Levinger (keyboards) -- after the departure of co-founder Jerry Corbitt (guitar/vocals). Although the band initially formed out of the early '60s Northeast folk scene, by the time this set was issued they had relocated to the pastoral Northern California county of Marin. Blending affective pop/rock melodies and lyrics with their good time jug band roots, the Youngbloods were instantly embraced by the already blossoming Bay Area music community. 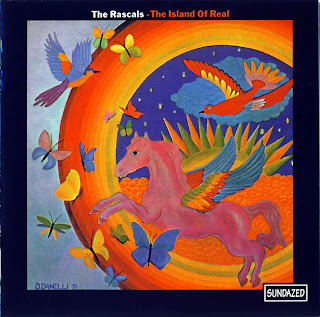 This effort contains some of the band's strongest material to date, building on the considerable momentum of their 1967 self-titled release and further enhanced by their remarkable instrumental capabilities. Young's contributions are particularly notable as he vacillates between the edgy and electric "Darkness, Darkness" to the light and earthy "Sunlight" and "Ride the Wind," or the bouncy tales "Smug" and "Beautiful." Banana honors his new surroundings with the gorgeous and catchy instrumental "On Sir Francis Drake" (named after a heavily traveled Bay Area motorway). On this cut the textural combination of electric piano and harpsichord provides a jazzy counterbalance to Young's propulsive basslines and Bauer's nimble drumming. 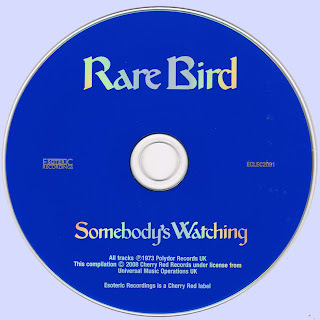 The "Rain Song (Don't Let the Rain Bring You Down)" is left over from Corbitt's tenure and recalls the earlier Youngbloods' sound which was more akin to the Sopwith Camel or the Lovin' Spoonful than the trio's then-current folk-rock leanings. "Trillium" is a hidden gem of a jam that examines the band's remarkably strong improvisational interaction. "Sham" is perhaps the most straightforward rocker on the album and recalls Bay Area acts like the Sal Valentino-led Stoneground. The disc concludes with the sublime "Ride the Wind" which sports a very sophisticated and slightly Latin-flavored melody. 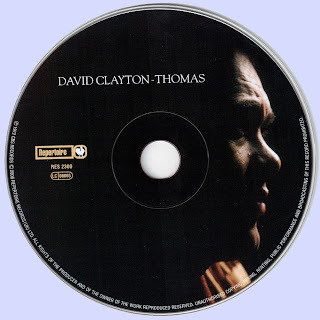 *George Ricci - Cello On "Foolin' Around"
David Clayton-Thomas had decided that enough was enough and split with Blood, Sweat and Tears to go the solo route with 1972's David Clayton-Thomas. Aided and abetted by wide ranges of studio help, including some of his former bandmates, much of what lies within these grooves sounds very much like his old band. It includes "Magnificent Sanctuary Band" and "Sing a Song," and with it sounding so similar to BS&T, one might wonder why Thomas chose the solo route, but by doing so, he is in charge and doesn't have to rely on others to choose which songs he sings. A competent addition to the big-band rock sound so popular in the early and mid-'70s. Fort Dodge, Iowa was the home of Steve Fox and Randy Berka, close friends who grew up together and shared many similar interests, one of which was their love of the Beatles and a strong desire to become rock musicians themselves. In 1963 at the tender ages of 7 and 8 years old, they began playing acoustic guitars together. In 1964, Steve moved away to Illinois but returned 3 years later and moved to the nearby town of Humboldt, where Steve's family had also resettled. By now Randy had teamed up with Jon Porter (organ), Tom Northup (drums),and John Callahan (guitar) which over the next few years evovled in to Lazy River. Tom left but was replaced by Artie Strutzenberg on drums, and the band added Mark Flanagan on bass. By early 1969 Lazy River became quite popular in the region, playing a host of impressive gigs, like the popular Star Ballroom in Dakota City and other notable venues. Meanwhile Steve Fox was honing his skills on bass guitar and started another local band with Dan Dodgen, John Brandsgard, and Doug Sandvig called Crosstown Traffic.By 1969 they were playing regularly and the two bands found themselves competing all over Iowa for gigs , as their styles of music were very similar(lron Butterfly, Grand Funk, Black Sabbath). But conflicts and personality clashes, in both bands, were about to have their impact. Callahan, Strutzenberg, and Flanagan left Lazy River to form Goo, and took Brandsgard along with them, virtually decimating the two bands and leaving both with several jobs to do. 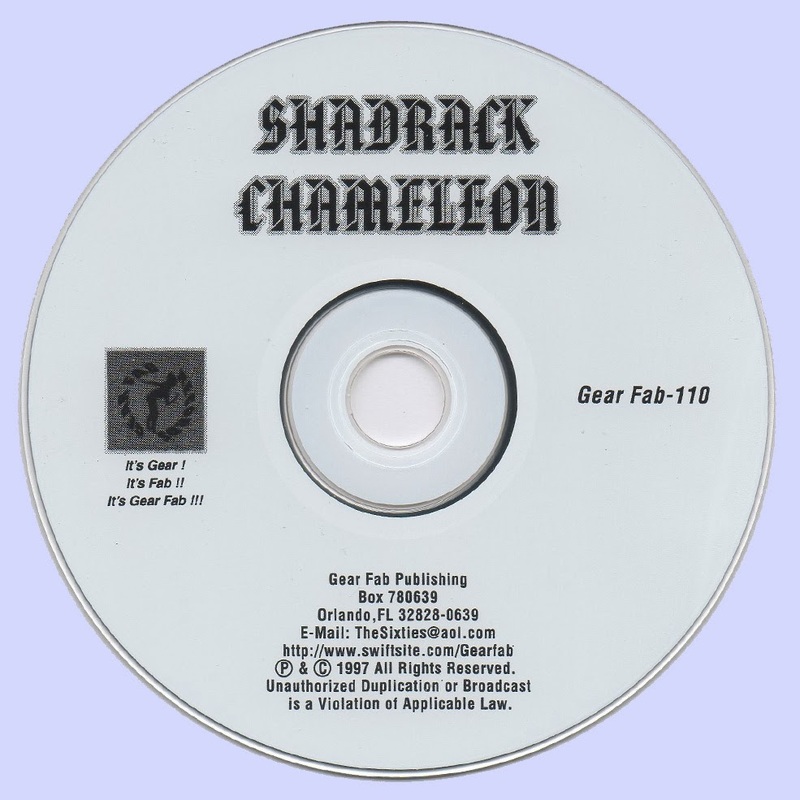 At the same time Doug Sandvig decided to quit and it was at this time that Randy and John asked Steve to join them, and Shadrack was formed, although continuing under the name Lazy River to fulfill their previous contracts. 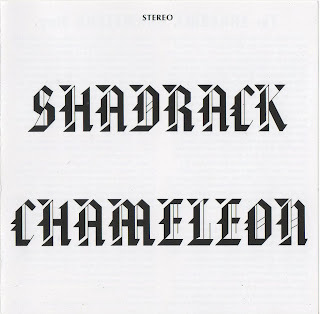 In the summer of 1972 one of the owners of Iowa Great Lakes Records, in nearby Milford, heard Shadrack at a local club and was veryimpressed with their Neil Young style of 'Road to OLe Miss.' and it wasn't long before the band was recording'lt Was Me' and 'I Wonder Why", of which 1,000 copies were pressed and released in early 1973. But 1973 was the last official year the band played together in their original lineup. They backed-up the nationally known band The Ides of March' (Vehicle) at the Roof Garden ballroom that summer, but college, and other ambitions later that year .ended the band. In the fall of 1973 and through the early winter, the band recorded the 'Shadrack Chameleon' LP on a Teac, Reel to Reel Tape Machine, in a studio built from an old storage shed they called 'Shadrack Recording Studio'. The personnel were a mix of Lazy Smoke, Crosstown Traffic, and Shadrack, and the music reflects this diversity. 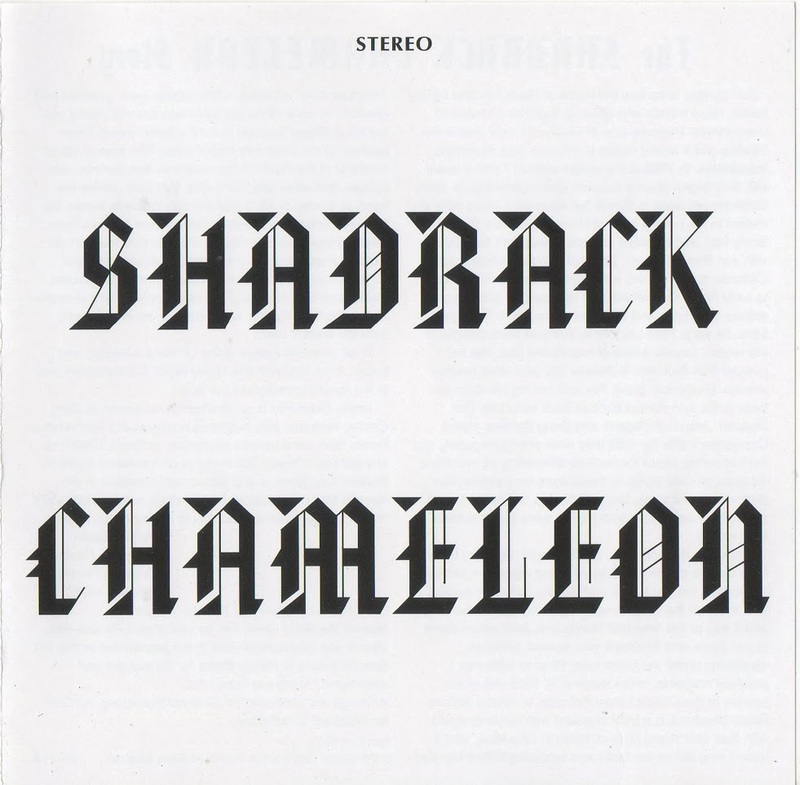 The name 'Chameleon' was added as an afterthought from the first LP track. In all, only 300 copies of the LP were released, and today , it not only remains highly rated, but extremely rare to the record collectors of the world. Today, Steve Fox is an electronics technician in State Center, Iowa and also publishes analyses of social issues; Randy Berka is a genetic researcher in Davis, California and still plays music; Jon Porter is an insurance agent in Boulder City, Nevada and also a representative in the Nevada State Legislature; Dan Dodgen owns a retail store in Fort Dodge, Iowa and continues to play music locally. Although it was his fourth solo album, Song for Juli was Jesse Colin Young's first full-fledged effort under his own name, following a couple of early folk records, a series of Youngbloods albums, and the tentative Together. Young organized a versatile backup band in which piano, violin, and horns complemented his tenor voice in arrangements that recalled Van Morrison's Caledonia Soul Orchestra (no surprise, since Young and Morrison used several of the same musicians, notably reed player Jim Rothermel) and featured familiar blues, country, and Cajun elements. 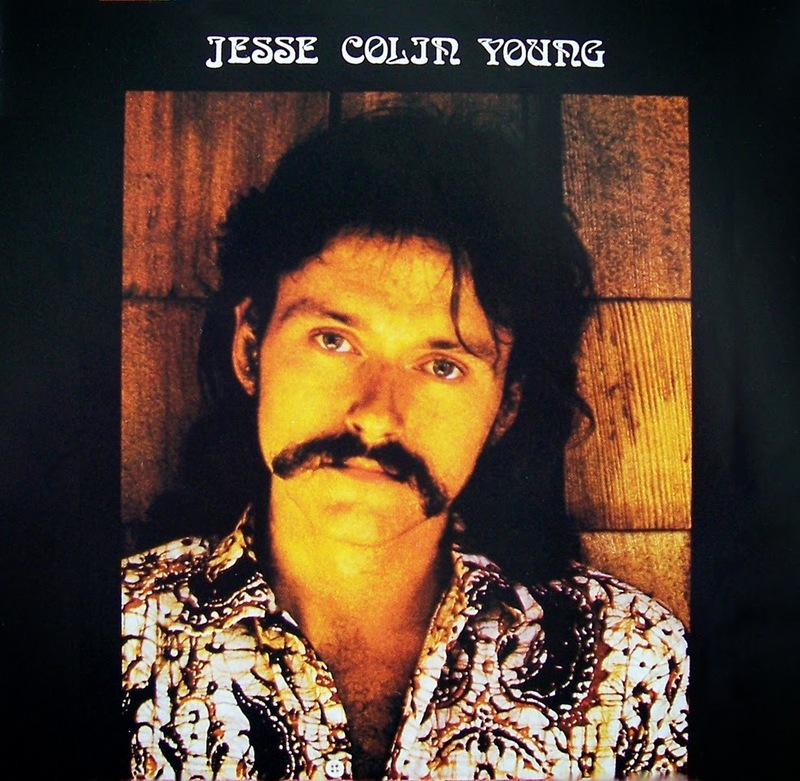 In his lyrics, Young hewed closely to the current back-to-the-land philosophy, celebrating his family life (Juli is his daughter) and his "Ridgetop" retreat in Marin County, CA. It was a viewpoint that was both self-affirming and xenophobic -- you couldn't help thinking that the people he wanted to leave him alone and the tourists he wanted to keep at bay included at least a few of his listeners. 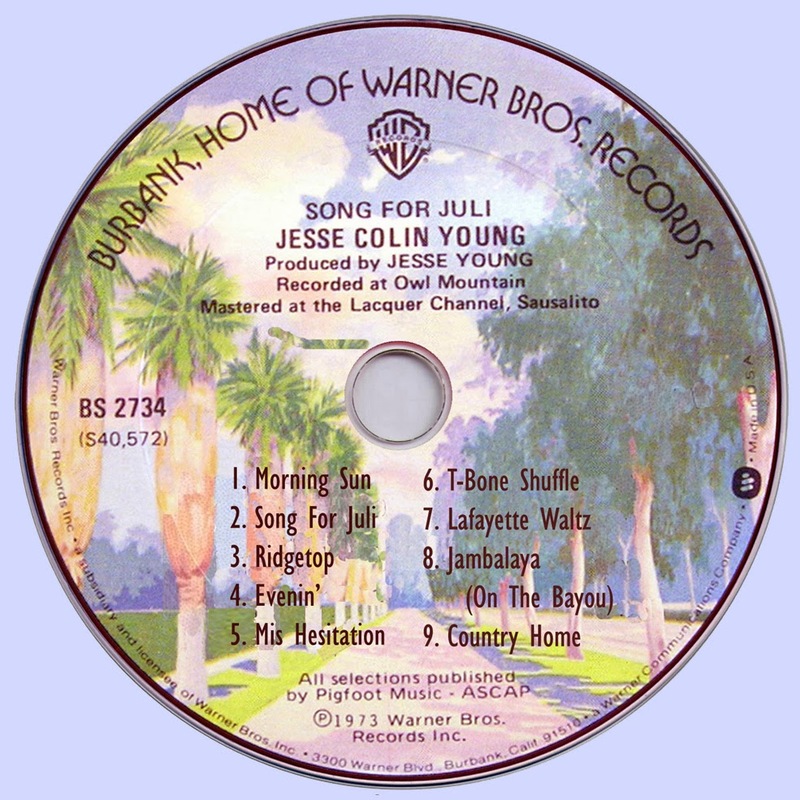 Of course, that's not the way it was thought of at the time, and Young's fans responded strongly to Song for Juli, giving it a higher chart placing than any album the Youngbloods ever made and keeping it in the charts longer than any album he ever made. By the time the Young Rascals had become the Rascals - down to keyboard guru Felix Cavaliere and Dino Danelli on drums for these two swansong albums in 1971-72 - they'd added Sly Stone-like depth and a "one from the heart" patina of soulfulness that Mick Jagger could approach only in his dreams. Equally important to Cavaliere's heartfelt vocals in this mature version of New York's Finest were the tasty, Steve Cropper-like stylings of guitar whiz Buzzy Feiten, augmented on both albums by a stellar cast of New York jazz luminaries: Joe Farrell on tenor sax, flute player Hubert Laws, Pepper Adams on baritone sax, keyboardist Alice Coltrane and Ron Carter on bass - all of whom helped the Rascals create an exotic pair of timeless classics that became to Soul and Jazz what the recordings of the Band were to Country and Americana. All songs by Felix Cavaliere axcept where indicated. Released on tiny Etiquette Records in 1965, Merry Christmas From The Sonics, The Wailers, And The Galaxies is a legendary three-garage-band compendium from the Pacific Northwest that doesn't quite live up to its vaunted reputation. Don't get me wrong - with no less than two songs in my Top 100, Merry Christmas very, very good. But, it's not the "Christmas Nuggets" one might expect and some claim. That said, the ferocious Sonics - one of the most crazed, revered garage bands ever - carry the day with two relentlessly hard-rocking, monumentally egocentric tracks. First and foremost, the sonics' "Don't Believe In Christmas" (loosely based on Chuck Berry's "Too Much Monkey Business") viciously dismisses the holiday simply because singer Gerry Roslie can't get sexually satisfied. And while the band's "Santa Claus" (roughly patterned after the Premiers' "Farmer John") is a somewhat less frenzied, its bald confession of material greed is equally impressive. Rosalie gleefully confesses, "I want a brand new car, a twangy guitar, a cute little honey, and lots of money," to which Santa Claus essentially replies, "Nuts!" Up Seattle way, the Sonics were the new kids on the block. The Wailers, on the other hand, were an established band best known for the instrumental hit "Tall Cool One" (1959). Their "Christmas Spirit??" - while no match for the vitriolic Sonics tracks - is a scream. The song is so relentlessly negative in its assessment of the holiday season and so positively spot-on in its appropriation of the language and style of Bob Dylan that it must considered be a parody - which doesn't mean it isn't right. The band's "She's Coming Home," on the other hand, relatively upbeat song looking forward to the carnal pleasures of Christmas vacation. Sounding like a less-polished, more-soulful version of the Association, the relatively easygoing Galaxies come in a distant third to their more cacophonous peers. The band's "Christmas Eve," however, is lovely. Kicking off with James Jamerson's percolating bass riff from the Temptations' "My Girl," "Christmas Eve" provides a welcome yuletide soporific after the anti-Christmas rants of the Wailers and Galaxies. 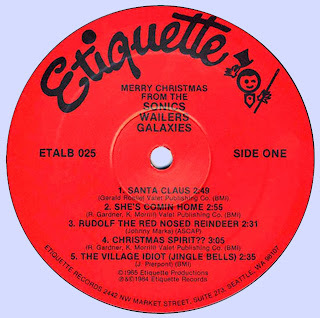 Good ol' Santa Claus, the Galaxies maintain, "wouldn't want anyone to be left out" - exactly the opposite of what the Sonics declaim more forcefully elsewhere on the album. Merry Christmas was available briefly on CD - I actually own one - but I can find no current listing for it at Amazon or anywhere else. The original LP, meanwhile, is worth hundreds of dollars on the collectors market. Happily, two of the best tracks from Merry Christmas - "Don't Believe In Christmas" and "Christmas Spirit??" (which were originally released on a split 7-inch single) - are both are included on Rhino's delightful Bummed Out Christmas (1989). Also, all three Sonics tracks from Merry Christmas were appended to the CD reissue of their amazing 1965 debut LP, Here Are The Sonics. The British psychedelic band Mighty Baby grew out of the Action, the Liverpool-based R&B outfit signed to Parlophone by George Martin in 1965. 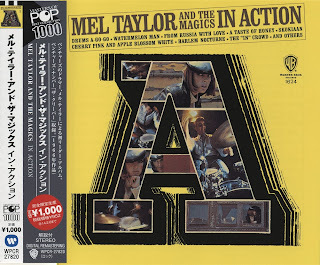 Long considered one of Martin's best discoveries this side of the Beatles, the Action consisted of Reggie King (vocals), Alan King (guitar), Pete Watson (guitar), Mike Evans (bass), and Roger Powell (drums). After Watson left in 1967, he was succeeded by keyboardist Ian Whiteman and blues guitarist Martin Stone, a veteran of the Savoy Brown Blues Band. This new lineup evolved beyond the R&B/soul sound that the original Action had played and into a top-flight experimental group, incorporating the kinds of long jams and folk/blues influences that the West Coast bands were starting to export around the world. They hooked up with ex-Yardbirds manager Giorgio Gomelsky in 1967 and recorded an album's worth of material that went unreleased. Reggie King was gone by early 1968 to record a solo album, and the remaining members went through a number of name changes, at one point calling themselves Azoth. In 1968, they hooked up with the managers who represented Pink Floyd and T. Rex and cut a new series of demo recordings featuring Whiteman (who wrote most of the songs) and Alan King on lead vocals. These demos were even more ambitious than the 1967 sides, extending the structure of the group's songs with long, beautiful guitar progressions and soaring choruses. Unlike a lot of R&B outfits that tried the psychedelic route and failed, they were suited to the new music by inclination and temperament. 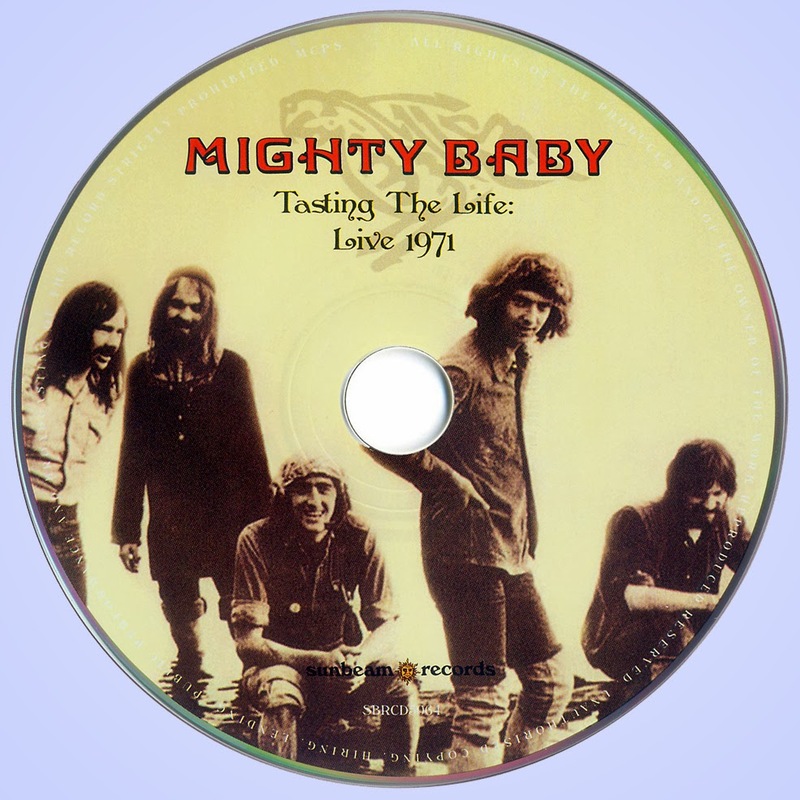 The president of the band's new record label, Head Records, for reasons best known to himself, chose "Mighty Baby" as the group's new name. 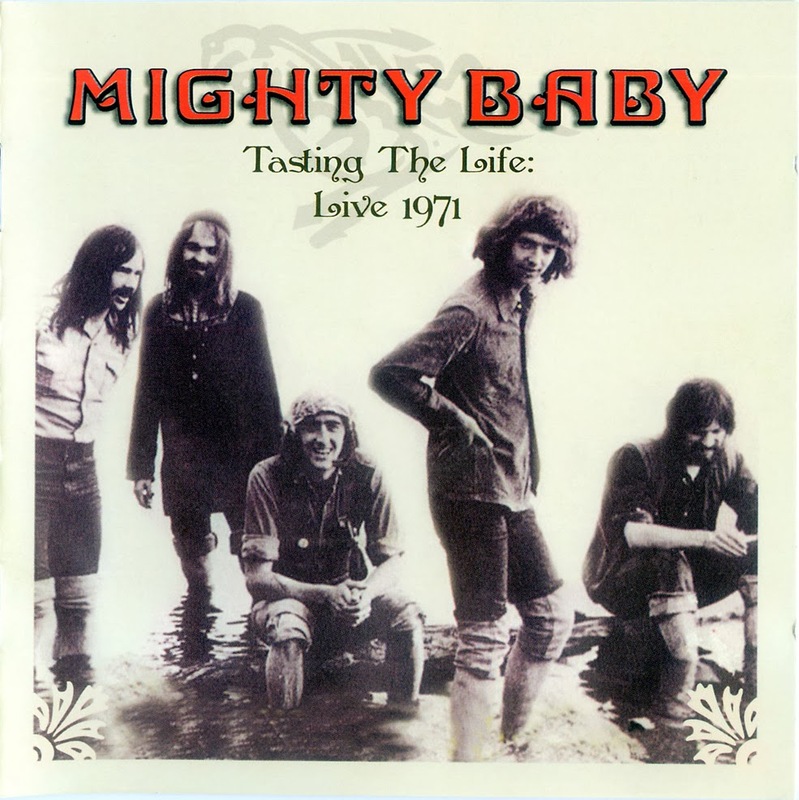 The self-titled album that followed was a masterpiece of late psychedelic rock, with long, fluid guitar lines and radiant harmonies; still, Mighty Baby didn't sell very well, although the group continued to play live shows to enthusiastic audiences. Their record label folded in 1970, and the group eventually signed to the Blue Horizon label, where they released a respectable if not wholly successful second album, A Jug of Love. It was clear by then, however, that their moment had passed, both personally and professionally. Mighty Baby broke up in 1971, although several of the members periodically played together on various projects -- Evans and Whiteman even played backup to Richard & Linda Thompson in the late '70s. Mighty Baby are one of the best-loved bands to have emerged from Britain’s late 1960s underground, and this is the fullest live record of them in existence. Taped as they opened for Quintessence at Malvern’s Winter Gardens on Saturday February 20th 1971, the set finds the quintet poised between the driving psychedelia of their 1969 debut and the more contemplative sound of their second and final album, A Jug Of Love. It’s rounded off by two tracks recorded at Glastonbury in June of the same year, and comes complete with a booklet featuring rare images and notes from band members Ian Whiteman and Mike Evans, making it an essential artefact for the Babe’s many admirers. 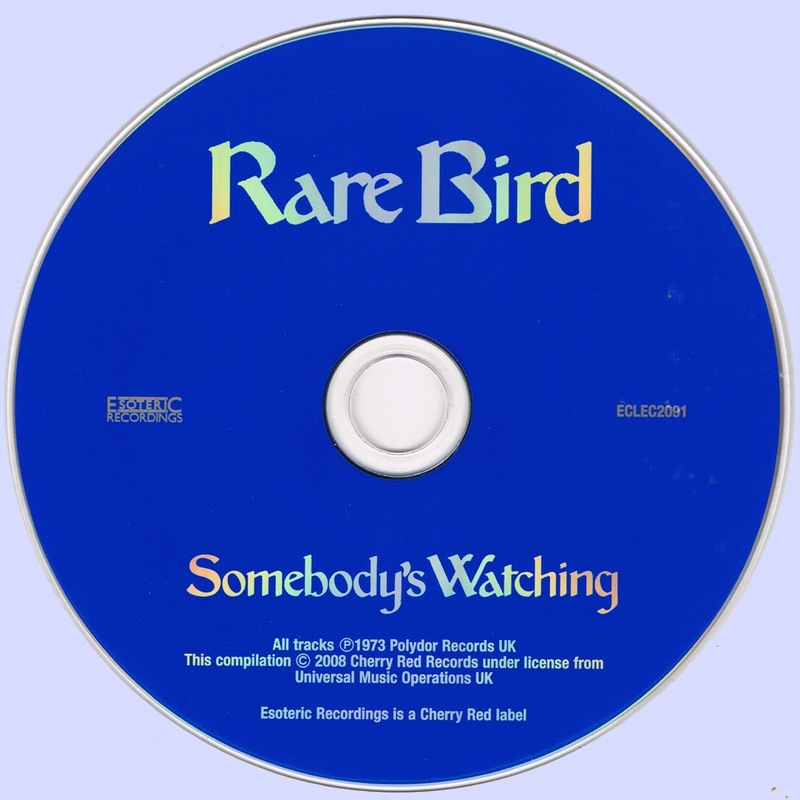 Self-produced 1973's "Somebody's Watching" found the band continuing to troll the progressive playground, but just barely. 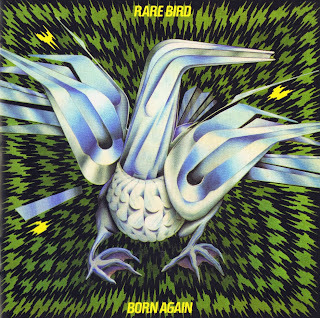 To be honest, by this point in their career Rare Bird had essentially become a pop band. The only real link to their progressive past was 'Dollars' which was an interesting instrumental adaption of Steve Winwood's Traffic meets Ennio Morricone's "A Few Dollars More". Elsewhere, featuring largely group-penned material, songs such as the tile track and 'Third Time Around' were shorter, more focused and quite commercial (as in suitable for radio). With the addition of guitarist Andy Curtis Gould seemed to have become comfortable as lead singer and the band's forays into folk-rock ('Turn Your Head' and 'Hard Time') were among the set highlights. 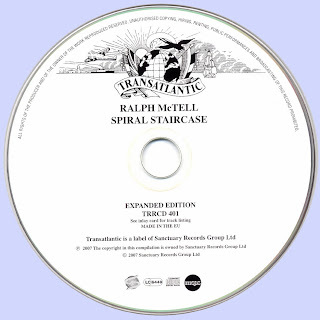 Although he's best-known for his classic folk song staple "Streets of London," which first appeared on his Spiral Staircase album in 1969, Ralph McTell is a multi-dimensional guitarist and singer/songwriter who's influenced hundreds of folk singers in Great Britain, Europe, and the U.S. Fortunately, people in the U.S. and Europe are beginning to connect to his vast body of excellent original work, and not just "Streets," which has been recorded more than 200 times by artists as diverse as Bruce Springsteen, Aretha Franklin, and even the angry punk group Anti-Nowhere League, and is still McTell's most requested song. 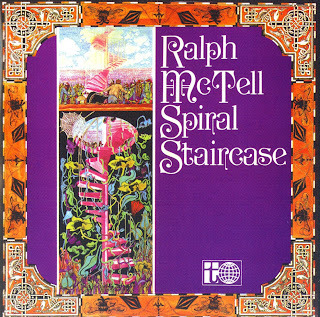 McTell, named Ralph May, was raised in post-WWII London with his mother and a younger brother. His father left home when he was two. He began to show musical talent when he was seven, when he began playing harmonica. When skiffle bands became all the rage in England, Scotland, and Ireland, he began playing ukulele and formed his first band. Later in his teens, he began playing guitar. At the College Jazz Club in London, McTell first heard Ramblin' Jack Elliott sing Jesse Fuller's "San Francisco Bay Blues." Elliott's performance proved to be a revelatory experience for the shy, young, impressionable McTell. He took his earliest cues from the great blues and folk singers: Elliott, Woody Guthrie, Leadbelly, Blind Boy Fuller, Blind Blake, Robert Johnson, and Blind Willie McTell. He took his adopted last name from blues singer McTell, and his songwriting inspiration from the writings of Jack Kerouac and John Steinbeck. After a few years hanging around London, he took off to travel along the south coast of England and the rest of Europe, where he made his way around hitchhiking and busking. While busking around Europe, he met his wife Nanna; shortly thereafter, they had a son. McTell tried a conventional career as a teacher, but continued playing the folk clubs around London. He began a long tenure at Les Cousins in the Soho section of London and there he began to make a name for himself. A music publisher was so impressed by McTell's early songs that he secured a recording deal for him. 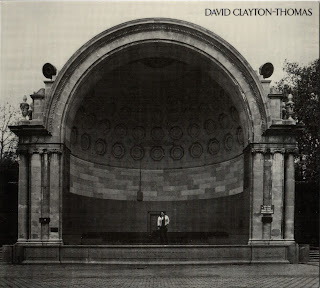 His first album, Eight Frames a Second, was released on the Transatlantic label in 1968. With a gentle voice, superb guitar playing skills gleaned from his days as a ukulele player, and a level of modesty that showed through on-stage, McTell began incorporating his own songs into his live shows, which were mostly blues in those days. By July 1969, he was booked at the Cambridge Folk Festival, and in December of that year was headlining his first major London concert at Hornsey Town Hall. By May 1970, McTell completely sold out the Royal Festival Hall and was booked to play the Isle of Wight Festival alongside Jimi Hendrix and Bob Dylan. He made his first U.S. tour in 1972 and returned to London to sell out the Royal Albert Hall in 1974, the first British solo act to accomplish such a feat in 14 years. The third song he ever wrote, "Streets of London," was something he deliberately left off his debut album, but at a producer's insistence, he included it on his second album for Transatlantic, Spiral Staircase. After the song was re-recorded in 1974 as a single for Reprise/Warner Bros. it became a huge world-wide hit. The song reached number two on the British charts, and in Germany, there were four different versions of the song on the charts at one point, three by McTell and one by a German singer. The pressures of world-wide success temporarily became too much for the shy, reserved McTell, and in the spring of 1975, he announced his intention to quit touring and withdraw from the music business for a while. He came to the U.S., where he relaxed and wrote songs in relative anonymity for a year before going back to the U.K. to play a Christmas benefit concert in Belfast. He continued recording for Warner Bros. in the '70s, releasing Right Side Up in 1976, Ralph, Albert and Sydney in 1977, and Slide Away the Screen in 1979. For most of the '80s, he spent his time touring and working on a children's television show called Alphabet Zoo, which led the TV network to create a show especially for him, Tickle on the Tum, and both programs introduced McTell to new generations of fans. In 1995 and 1996, McTell returned to the U.S. and performed a series of sold-out shows on the East Coast, and his visibility in the U.S. may have been helped along by Nanci Griffith's decision to record one of his songs, "From Clare to Here," on her Grammy-winning Other Voices, Other Rooms album. 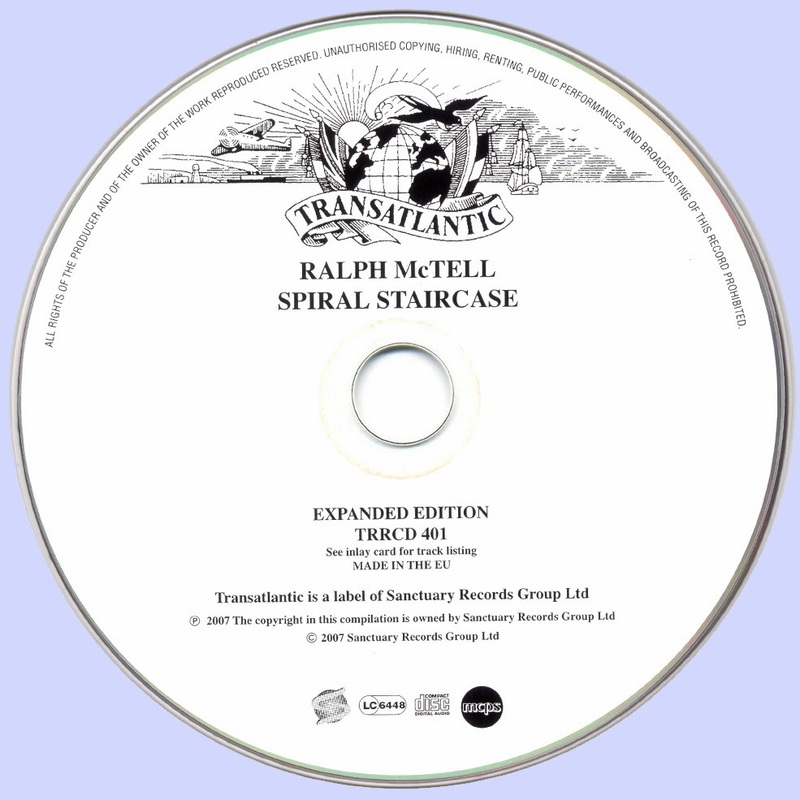 McTell's discography is very extensive and demonstrates his commitment to his craft as a songwriter. Though many of these albums are hard to locate, they're well worth seeking out, most originally recorded for Transatlantic, Reprise/Warner Bros., or Mays. In 1992, he recorded an ambitious project about the life and times of poet Dylan Thomas, The Boy with a Note, released on Leola Music; recently, the U.S. has seen the Stateside release of From Clare to Here (1996), a U.S. release of Silver Celebration, and Sand in Your Shoes (1998). Blue Skies Black Heroes appeared the following year. In 1975, fresh from his stint in Fleetwood Mac, guitarist/vocalist Bob Welch joined up with former Jethro Tull/Wild Turkey bassist Glenn Cornick and ex-Nazz drummer Thom Mooney to form the power trio called Paris, and this self-titled debut was released in January of 1976. Now reissued and remastered by Rock Candy, Paris can once again be enjoyed by hard rock fans of all ages. 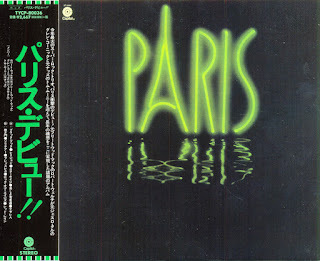 Quite different stylistically than any of the bands these musicians were involved with previously, Paris were greatly influenced by Led Zeppelin, right down to the high pitched vocal wails and stinging guitar riffs of Welch (who really channeled Plant & Page here) and the thunderous rhythm section of Cornick & Mooney. Tunes like "Black Book", "Nazarene", and "Religion" could have easily been leftovers from any of Zeppelin's early to mid '70's albums, while the funky blues rock of "Starcage" and "Beautiful Youth" remind a bit of the classic days of the Jeff Beck Group. Progressive rock fans will love the textured "Narrow Gate (La Porte Etroite)", which fuses Led Zeppelin with Wishbone Ash, and the ultra catchy "Solitaire" has some splendid power pop hooks that will appeal to any fan of The Raspberries. Cornick's ultra-beefy bass guitar grooves lead the pulsating rocker "Breathless", and "Rock of Ages" is balls to the walls heavy blues rock for all the Zeppelin and Cactus fans out there. The album ends on a high note with the upbeat "Red Rain", complete with Welch's dazzling riffs and some foot-stomping rhythms courtesy of Cornick and Mooney. 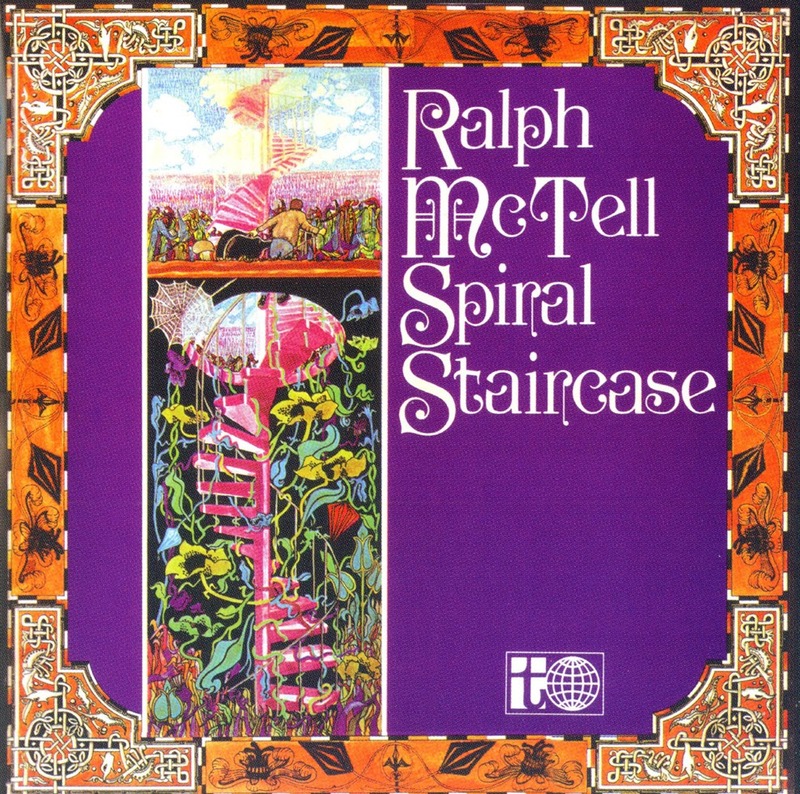 Honestly, this is a great hard rock record that showcases the skills of all three men, especially Welch, who never really dipped into this type of heavy material before but really showed he had the guitar skills to pull it off. The band recorded one more album in 1977 titled Big Towne, 2061 and then split, and Welch passed away in 2012 after a long solo career that saw him have quite a bit of success over the years. If you've never heard of this little known supergroup before and love '70s hard rock, you owe it to yourself to check this one out. In 1970, the recording engineer Tom Dowd brokered one of the most auspicious meetings in rock history -- between guitarist Eric Clapton and the slide-guitar master Duane Allman. Clapton was working with Dowd at Miami's Criteria Studios, attempting to shake off the bitter demise of Blind Faith with a new group that included keyboardist and singer Bobby Whitlock. After a few days of what Dowd describes as "getting sounds and breaking ice," Allman called, curious to see the British guitar legend in person. Clapton's group went to watch the Allman Brothers play instead, and afer the concert, the musicians partied all night, eventually repairing to the studio the next afternoon. Dowd: "We turned the tapes on, and they went on for fifteen, eighteen hours like that. I went through two or three sets of engineers." 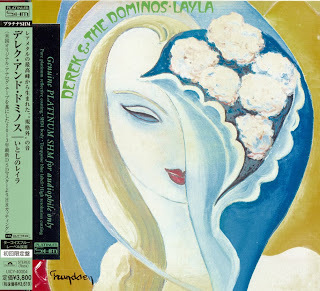 Those jams -- furious marathons based loosely on blues songs (Howlin' Wolf's "Killing Floor") and simple riffs -- set the stage for Layla and Other Assorted Love Songs, a multidimensional rock landmark. Clapton was, according to legend, at loose ends durng this time: He'd fallen in love with Patti Boyd, the wife of his best friend George Harrison, and was deeply troubled -- a pain evident not just on the celebrated title track he wrote with Jim Gordon, but also such apt covers as Freddie King's sorrowful blues about messing with a friend's wife, "Have You Ever Loved a Woman." Fueled by cocaine, heroin, and Johnny Walker ("It was scary," Whitlock recalls, because "we didn't have little bits of anything....We had these big bags laying out everywhere"), the group went from open jamming to developing actual songs, among them the beseeching "Bell Bottom Blues." The basic concept was rock, pitched at the whiplash frequency of Memphis soul. 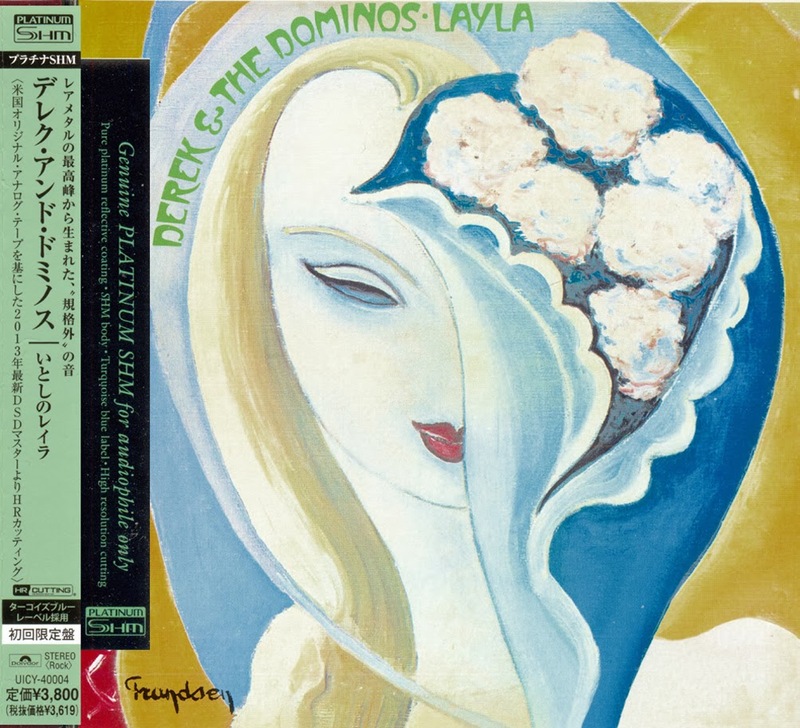 The band worked up nontraditional approaches to old blues (this "Key to the Highway" has a searing energy that far outstrips Clapton's more scholarly later blues), and then recorded the masterpiece "Layla" as a suite, in stages. Sweathog was a San Francisco-based quartet whose sound was fairly far removed from the music normally associated with that city. They were a powerful ensemble instrumentally, keyboardist/singer Lenny Lee (aka Lenny Lee Goldsmith), guitarist/singer Bob Jones, bassist/singer Dave Johnson, and drummer Frosty (aka Barry Smith, aka Bartholomew Smith) all top players in their field -- Frosty had played with Lee Michaels on his third and fourth albums, while Jones had played on Harvey Mandel's Cristo Redentor and Righteous in the late '60s, and Goldsmith was an ex-member of the Five Americans. They were not bad as singers, either, with Goldsmith handling the leads. Their music was a mix of Southern-style soul, early-'70s funk, and blues, all wrapped around a virtuoso rock sound. The group was signed to Columbia Records at the time of that label's fixation on West Coast acts, under Clive Davis's regime -- they were always looking for another Big Brother & the Holding Company, or something to take the place of that act on their roster. 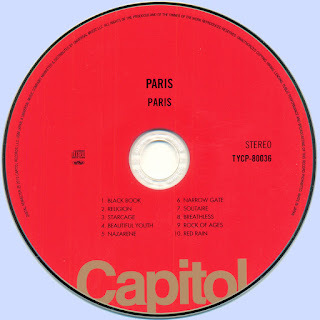 The group's self-titled debut album passed mostly without a musical trace, without an AM radio hit to drive sales, though its cover image of bare buttocks was censored in various countries. In 1972, they seemed to hit paydirt with their single "Hallelujah," a driving piece of explosive Southern-fried rock & roll with a soul edge that was a killer showcase for all four players (especially Frosty). It got to number 33 on the national charts, but that relatively modest performance doesn't indicate how popular it was on the radio, where it got airplay closer to that of a Top 20 hit. The song got the album (also titled Hallelujah) into stores, at least, but it never sold in huge numbers, despite a respectable promotion effort and a lot of exposure for the band, touring behind Black Sabbath, among other top acts of the period. They broke up in 1973, and Goldsmith later played on Martha Reeves' first post-Motown solo album before joining Stoneground. The Top 40 title track got Sweathog some chart action in 1971. Drummer Frosty found fame with the pop/blues minstrel Lee Michaels, and here forges a Southern rock sound with bassist Dave Johnson, guitarist B.J., and organist Lenny Lee -- none of them household names, and an album that is highly competent but as non-descript as the players. When your drummer and a guest pianist by the name of Michael Omartian have more recognition, it is clear it will be an uphill climb. There's an interesting version of "Rock & Roll Hoochie Koo," a song which wouldn't hit until 1974 for Rick Derringer, so the band showed they have some taste (and that they toured with or at least listened to Edgar Winter's White Trash). For the times, though, heartfelt songs like "In the Wee Hours of the Night" needed a strong personality fronting the group. L. Goldsmith performing Joe Cocker's "Ride Louise Ride" or Sanford Townsend Band material makes for a solid outing, but not the additional hit singles this group needed to amass a following. Great music, stirring performances, it's just that the world wasn't quite ready for Three Dog Night meets the Allman Brothers Band. The title track remains a forgotten classic which oldies stations would be smart to add to their play lists. 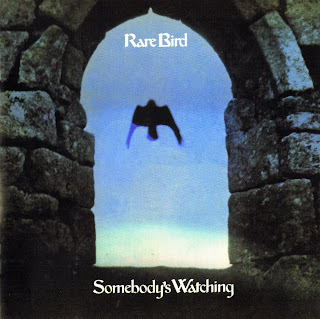 Follow on from the highly successful of Rare Bird's first albums with this classic prog rock album from 1973, their second release for Polydor. By the time of this album Rare Bird had changed line-ups, though still retained their progressive style. Born Again was Rare Bird's final album and included their classic Diamonds. Balanced between soft progressive tunes, classic rock forms and funky vibes. A great little album of 60s instrumentals – played by a small guitar-heavy group led by drummer Mel Taylor, who's got a really heavy driving sound! 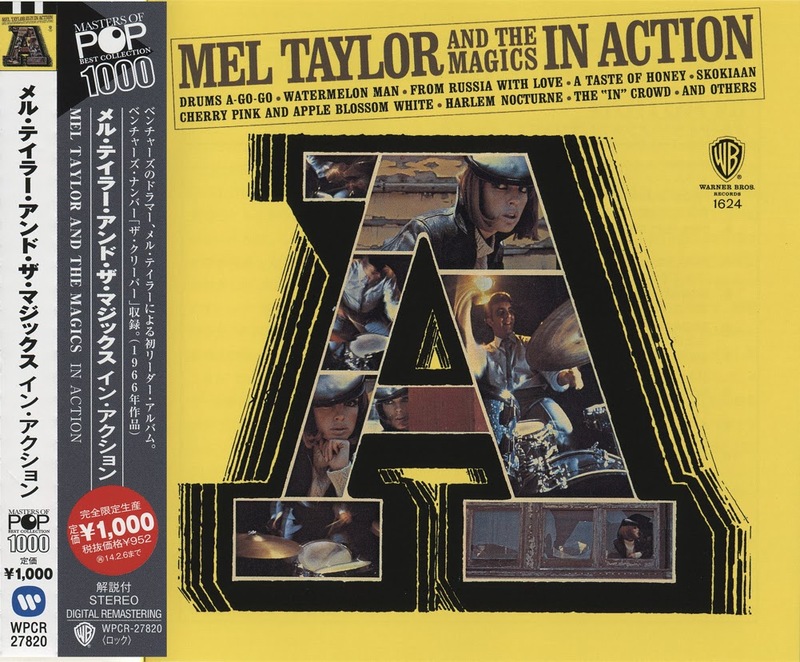 The notes say that Taylor has been featured on hundreds of records during the 60s – and given that his sound here is a lot like Hal Blaine on some of Blaine's instrumental albums from the time, we're almost wondering if Taylor's not a name-de-date for Blaine. This is just speculation, though – but the sound of the record is great if you dig Blaine's rocking instrumental albums from the same time. Titles include "Watermelon Man", "Bullseye", "Bongo Rock", "Skokiaan", "The Creeper", "A Taste Of Honey", "Drums A Go Go", "No Exit" and more. Mel Taylor was born in Brooklyn, New York, on September 24, 1933, the first child of Grace and Lawrence Taylor. His mother"s family was Russian/Eastern European Jewish, and his father"s family was from the Tennessee/North Carolina area, with English, German, Dutch and Cherokee roots. His early years were spent in Brooklyn but, in the summer of 1939, his father took him back to the family home in Johnson City, TN, for the first of many visits. His father, grandfather and uncles all played guitar or banjo, and Mel became used to music being an integral part of his life. Back in New York, he joined the Police Athletic League and excelled in the 100-yard dash. He also developed a lifelong passion for the Dodgers baseball team. Mel"s interest in the drums began early, too. His mother remembered him banging on pots and pans with knitting needles, then drumsticks. In school, he joined the drum and bugle corps, and marched in the Macy"s parade. His inspiration came from big bands and especially Gene Krupa, whom he heard on the radio and whose style he began to copy. In his early teens, Mel moved permanently to Tennessee where he attended high school. After trying out for the football team, he found he preferred marching in the band instead. He joined the Navy at the age of 17 and, after basic training in the Great Lakes region, was posted to Pensacola where he was assigned to a crash crew for the Navy pilots" training facility. After leaving the Navy, Mel returned to Tennessee where he started playing music on local radio and TV shows. His younger brother, Larry Taylor (later bass player with Canned Heat), remembers that Mel played rhythm guitar and sang back-up on a rockabilly TV show in Johnson City with Eddie Skelton. He later played drums with Joe Franklin"s group, and even appeared on the Ed Sullivan Show -- or rather his arm did, as that was all anyone could see of him when the show aired! 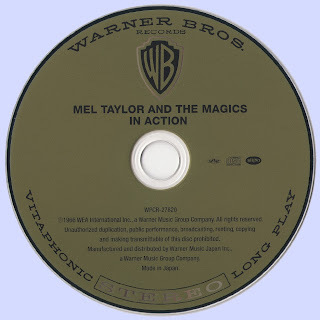 He also played guitar and sang on his own (very) early morning radio show, as "Mel Taylor and the Twilight Ramblers". Mel moved his family, including 4 small children, out to California in 1958. During the day, Mel worked LA Grand Central Market, as a meat cutter – a trade he had learned in Tennessee. By night however, he played drums in clubs around the L.A. area and became quite sought after. Soon he was able to quit his day job, and graduate to session work in the recording studios. His early credits include "The Monster Mash" with Bobby "Boris" Pickett, "The Lonely Bull" with Herb Alpert and the Tijuana Brass (for which he was paid $10! 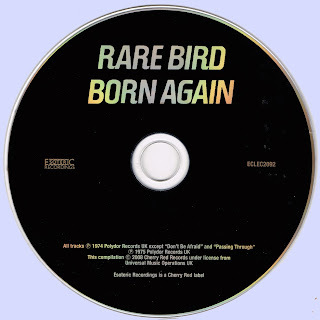 ), various cuts with Buck Owens, and many more. He also became house drummer at the famous Palomino Club in North Hollywood. In the late 1950"s and early 1960"s everyone in the music business frequented the Palomino – and often sat in with the house band, so Mel had the opportunity to meet and play with many hit artists. One night in 1962, The Ventures came to the Palomino after doing a TV show in Hollywood, but without their drummer, so Mel obliged and played "Walk Don"t Run" with the group. Later, The Ventures asked him if he would be interested in joining them, as their original drummer was unable to travel. Shortly thereafter, they called Mel in to do some recording and, a few months later, to go on the road with them. From 1963 on, Mel became known as The Ventures" drummer, recording and performing with them for more than 32 years, traveling all over the US, to Europe and to Japan, where The Ventures" annual tour is considered a major cultural event. In July 1996, while on tour in Japan with The Ventures, Mel was diagnosed with pneumonia, but subsequently a malignant tumor was found in his lungs. He continued to play until August 1, so that a replacement drummer could be found for the balance of the tour. On August 2, Mel returned to Los Angeles for further testing but the cancer was so fast-moving that, after less than 10 days at home, he died very suddenly on August 11. He leaves a legacy of hundreds of recordings that continue to be enjoyed by millions of fans. 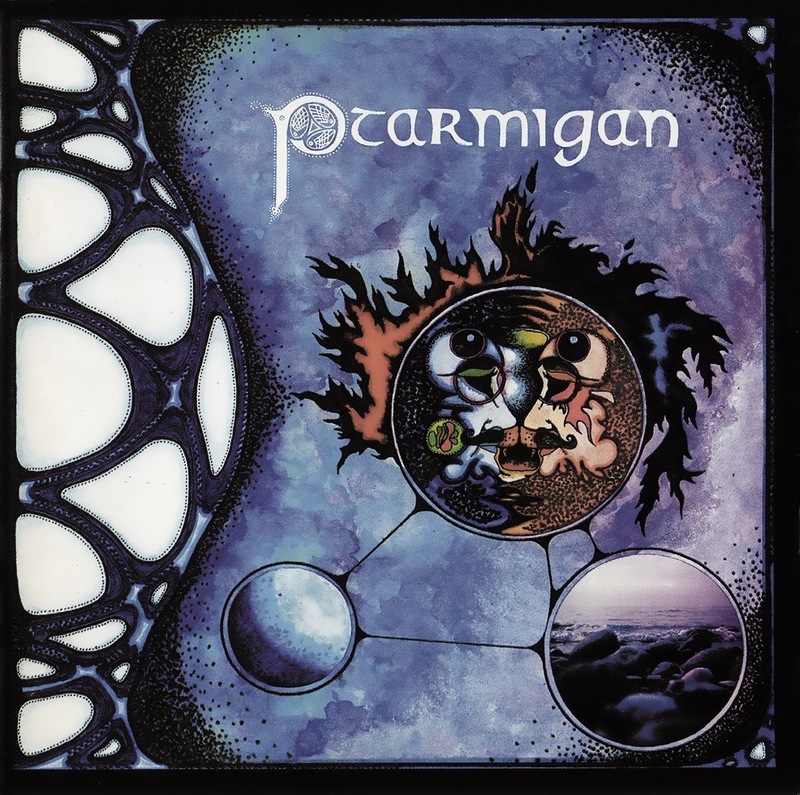 Ptarmigan was formed in 1970 when Michael Bieling introduced guitarist James Lithgow to vocalist / recorder player, Glen Dias. 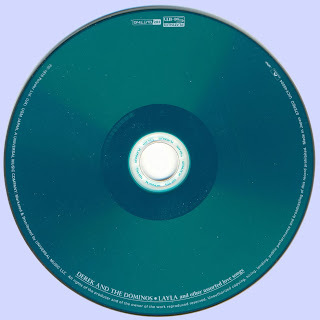 They began writing songs with Bieling accompanying on congas & soon added Dennis Lelonde on alto sax, piano & vocals; Monte Nordstrom on 12 string guitar & vocals with a second percussionist, Shawn Mullins. The sextet performed on Vancouver lsland & eventually came to the attention of the renowned flautist Paul Horn who had moved to Victoria, BC to escape the rigours of life in Los Angeles. He was impressed with the group's unorthodox style & encouraged the band to stay in touch. When the group fragmented with Lithgow & Bieling departing Peter Wheeler, an American percussionist, joined the band. Eventually Lelonde dropped out of the line-up & when plans were made to travel across Canada, the ensemble was reduced to the duo of Dias & Nordstrom who purchased train tickets to Toronto & set out on the road. The first stop was Winnipeg & their first dates at the Ting Tea Room. They began writing new material immediately, developing harmony structures & establishing their eerie west coast sound. After two months on the Winnipeg scene the duo continued by train to an extended stay with the Macauley family in Scarborough. They auditioned unsuccessfully at Grumble's & The Riverboat in Toronto & ended up spending Halloween collecting candy for the Children's Hospital. They performed at The Fiddler's Green appearing with Leon Redbone & the Downchild Blues Band. A visit to Hamilton turned into several weeks followed by a return trip to Winnipeg & the Ting, where they performed for Christmas & New Years, both memorable if strange occasions. A late night jam with members of Lighthouse occurred during this time. A van trip across Northern Ontario ensued in January 1972 with Gary McKeehan, an independent CBC actor/producer & also a manager for Perth County Conspiracy (does not exist). They eventually ended up at McKeehan's rural home (near Stratford, where they visited at the Black Swan). A trip to Chicago was attempted but the two young men were turned back at Detroit due to their long hair, odd luggage & low supply of funds. They returned to Mckeehan's & plans were made to go to Ottawa following up on an invitation made by Rob Putt, (an audio technician they had met in Winnipeg). They continued on to Toronto by bus & were now without sufficient funds to carry on. After a night at the YMCA, one bus ticket for Ottawa was purchased & the 2 musicians flipped a coin to determine who would take the instruments on the bus & who would hitchhike the 500 miles through the sub-zero blizzard. Glen lost the toss & watched as Monte rode out on the Greyhound to Ottawa, 10 hours away. Monte was met in Ottawa by Rob Putt & had already secured a gig at a hippy cafeteria called The Kitchen Cinq, when Glen arrived some 5 hours later looking like the abominable snowman in his battered fur coat. Ottawa turned out to be an excellent environment for Ptarmigan. After a stay with Rob's family the duo moved into The Pestalozzi which was described as a 21 story vertical commune, fuil of radicals, artists, freaks & university types who congregated downstairs in the Kitchen Cinq listening to acoustic music & rattling their cutlery. An audition was arranged at Le Hibou and the duo was hired to open for Lenny Breau (who happened to be Monte's guitar idol and became one of his major influences). The duo opened two shows a night for the week and Monte's 18th birthday was celebrated in The Ting Tea Room. The first stop was Winnipeg & their first dates at the Ting Tea Room. They began writing new material immediately, developing harmony structures & establishing their eerie west coast sound. After two months on the Winnipeg scene the duo continued by train to an extended stay with the Macauley family in Scarborough. They auditioned unsuccessfully at Grumble's & The Riverboat in Toronto & ended up spending Halloween collecting candy for the Children's Hospital. They performed at The Fiddler's Green appearing with Leon Redbone & the Downchild Blues Band. A visit to Hamilton turned into several weeks followed by a return trip to Winnipeg & the Ting, where they performed for Christmas & New Years, both memorable if strange occasions. A late night jam with members of Lighthouse occurred during this time. A van trip across Northern Ontario ensued in January 1972 with Gary McKeehan, an independent CBC actor/producer & also a manager for Perth County Conspiracy (does not exist). It took that amount of time to find a label willing to release unusual project. Finally Paul leased the recording to Columbia of Canada who manufactured & released the Lp (& single "Go Dancing" b/w "Vancouver") in early 1974. 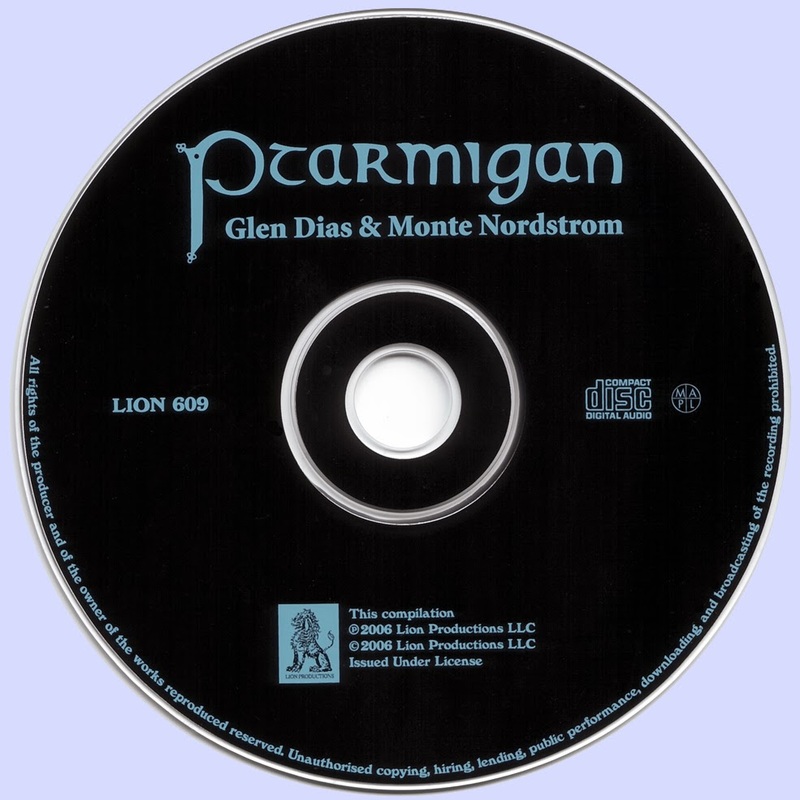 Between the time of the recording & the release of the Ptarmigan LP Glen & Monte had not been very active musically. In fact the partnership had effectively been ended. The conflict of personality which had been there from the onset came to the fore & waiting a year for the release did not ease the tension. Faced with promoting the project they attempted to put their differences aside. They performed for a week opening for the Paul Horn Quintet at the Egress in Vancouver & did a series of small shows on Vancouver Island. Monte asked a talented friend, David Aston to join the group on bass guitar & they rehearsed. He was enthusiastic that they were starting to co-write. 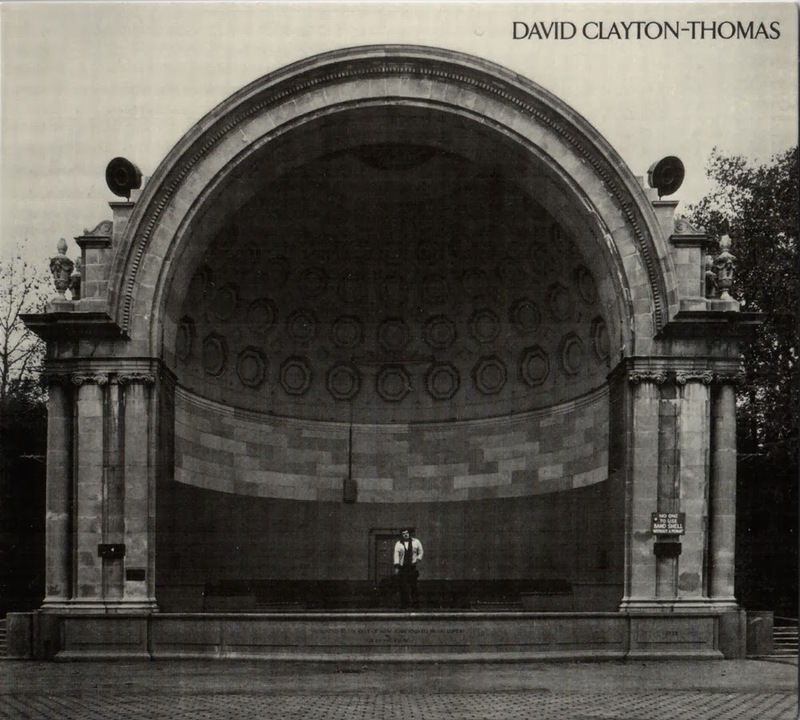 A drummer was added & a premiere concert was arranged by Horn. The show went on but the drummer really wasn't suitable for the band so it was agreed that a replacement should be found. More rehearsals took place. A few weeks later David was tragically killed in a car accident & a devastated Monte walked away from the Ptarmigan project for the last time. Glen Dias went on to develop a career as an actor / singer in musical theatre while Monte continued to write & record solo material with a variety of musicians including former ptarmigans Michael Bieling and James Lithgow. After Ptarmigan folded, Glen Dias travelled to San Francisco, Tucson & New Orleans, making club appearances & performing as a busker. Relocating to Toronto, he pursued a career in musical theatre & landed roles in various productions including Jesus Christ Superstar, Les Miserables & Napoleon. He has also appeared as a studio musician on recordings by Kathy Stack, Roger Lee, Ray Montford, Angels For Tea, Geoff Bennett, Zombo Zombo, Mardi Jayde and Ani Coutino, among others. In 1999 Glen Dias released his first solo CD entitled "Tip of the Iceberg", recorded with his band The Polarity Bears". (with a new version of "Go Dancing"). He also owns Elizagoth, a medieval store. Monte Nordstrom has recorded an onegoing series of eclectic albums for Groovedigger Records: Silhouette of Our lnsanity 1978; Voodoo Rage '80-83; Nothing More Better '89-92,self-titled '94; Sunday Healing Service '94; Northstream '96, Live at JBI '98, and Sou'Wester '99. Since 1980 he has supported himself by performing music & continues to be based on Vancouver Island. He also contributes a feature column to Cosmic Debris Musicians Magazine.